Clark County Today has loaded itself with an experienced, award-winning staff. After being hired as editor of the community news website in June 2016, Vance filled the Clark County Today staff with some familiar faces and names, not only to the editor but also to Clark County readers and residents as well. Ken Vance is an experienced editor and reporter, getting his start in the newspaper industry in 1987 as a reporter at The Columbian Newspaper in Vancouver. Vance graduated from Stevenson High School in Stevenson, WA, and attended Clark College in Vancouver. He worked for The Columbian Newspaper from 1987-2001. In addition to his time at The Columbian, Vance also worked as an on-air host for Entercom Broadcasting in Portland for more than five years and an on-air host for Alpha Broadcasting in Portland for several more. He was most recently a staff member of The Reflector Newspaper in Battle Ground, where he served as editor since 2010 and reporter since 2007. Over the span of his career, Vance has covered a variety of topics, including professional, college, high school and youth sports; outdoor and recreational sports; city government; school district news; lifestyle features and more. Vance’s work in the newspaper industry has won him awards, including a first place award from the Society of Professional Journalists for in-depth reporting. Chris Brown comes to Clark County Today with 15 years of local news experience as a reporter, editor, and anchor at KXL News Radio and KOIN-6 TV in Portland. In 2016, he won an Oregon Association of Broadcaster’s award for Best Investigative Reporting for a series on America’s Violent Youth. He has also been awarded by the Associated Press for Best Breaking News coverage as editor of Portland’s Morning News following the 2015 school shooting at Umpqua Community College in Roseburg, Oregon. The second oldest of eight home-schooled children, Brown graduated from high school two years early. After several odd jobs, he earned an internship at KXL Radio, eventually working his way into a full-time job. Brown has lived in Clark County his entire life, and is very excited at the opportunity to now focus full-time on the significant stories happening in his own back yard, rather than across “the river.’’ After a few years in Vancouver, he recently moved back to Battle Ground with his wife and two young daughters. When he’s not working to report what’s happening in Clark County, Brown enjoys spending time with his family, playing music, taking pictures, or working in the yard. He also actually does enjoy long walks on the beach, and sunsets. Paul Valencia joins ClarkCountyToday.com after more than two decades of newspaper experience. He became the face of high school sports coverage in Clark County during his 17 years at The Columbian. Before moving to Vancouver, Paul worked at Oregon daily newspapers in Pendleton, Roseburg, and Salem. A graduate of David Douglas High School in Portland, Paul enlisted in the U.S. Army, serving three years as a soldier/journalist. He and his wife Jenny recently celebrated their 20th anniversary. They have a son who has a passion for karate and Minecraft. Paul’s hobbies include: Watching the Raiders play football, reading about the Raiders playing football, and waiting to watch and read about the Raiders playing football. Jacob Granneman is a filmmaker and writer from northern Clark County. He is a recent graduate of Washington State University’s Edward R. Murrow College, where he studied media production. His passions range from cinematography, to meeting new folks, to going on adventures in the rugged Pacific Northwest. He lives with his wife in Vancouver, WA. Michael (Mike) Schultz has been a photojournalist in Clark County for more than 30 years. He studied at Clark College in Vancouver, and worked as a photographer at The Reflector Newspaper for 31 years. Schultz is an award-winning photojournalist, receiving awards for several action sports photos as well as others. He became interested in photography at the early age of 10 and it has been his main passion ever since. Schultz also spent many years in charge of The Reflector Newspaper’s commercial printing department. Mike’s hobbies include hiking and photographing wildlife. Andi Schwartz is a Graphic Designer with over 18 years of experience ranging from a variety of print design projects, including newspaper layout and ad design, business collateral, screen printing and embroidery digitizing, label printing and web design. Born in Vancouver, Schwartz graduated from Fort Vancouver High School and then attended Mt. Hood Community College for their Graphic Design program. Prior to joining the ClarkCountyToday.com team, Andi served nine years working for The Reflector Newspaper in Battle Ground, first working customer service and design for the commercial printing department prior to transitioning to laying out the weekly newspaper and designing advertising for customers, in addition to special quarterly and yearly publications published by the newspaper. During her time at The Reflector, Schwartz was chosen as Employee of The Year in 2015 as well as earning awards for her design work from the Washington Newspaper Publishers Association. Schwartz and her husband Joseph live in Vancouver with their son, Kainan, and cat, Waylon. In her free time, Schwartz is a competitive archer both indoors and outdoors in the Pacific Northwest, earning multiple awards from the Washington State Archery Association. She also enjoys archery hunting each year, fishing and hiking with her family, as well as perfecting her baking and sewing skills. Heidi Wetzler spent the last 25 years working for The Reflector Newspaper in mainly circulation and administrative roles, working alongside parents Marvin and Anne Case through 2010 and then continuing with the company until agreeing to join Clark County Today. Wetzler was The Reflector’s Employee of the Year in 2010. Wetzler has a bachelor’s degree in environmental science from Willamette University in Salem, OR. She also currently enjoys part-time work as a nanny for a family in north Clark County. Wetzler will fill an administrative role with Clark County Today, assuming a wide range of responsibilities. 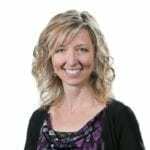 Wetzler is a member of Crossroads Community Church in Vancouver, and serves in the Crossroads Kids Ministry. She resides in Battle Ground with her husband, Dan Wetzler. The two have three children – Dan Jr., 28, Savannah, 18, and Stefan, 16. Some of Heidi’s hobbies include hiking and supporting her busy kids’ activities, including theater, opera and soccer.